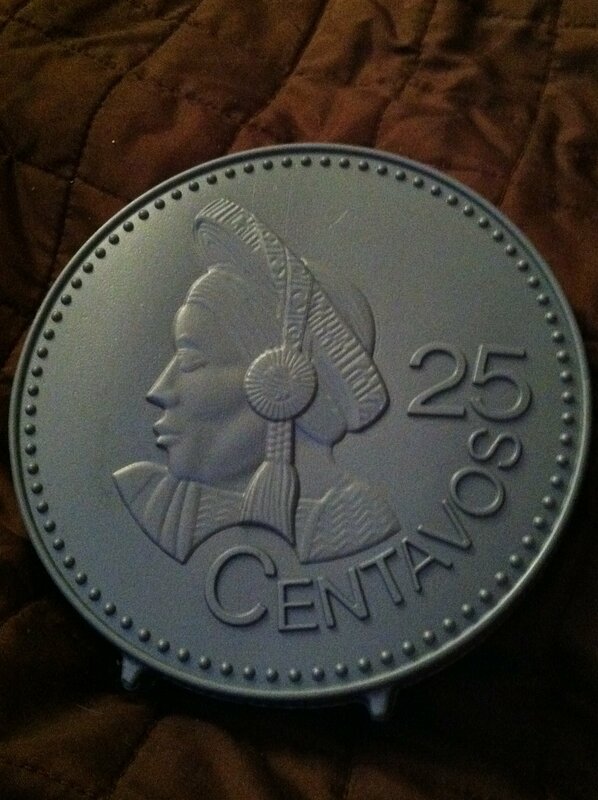 The front of the piggy bank from Juan Carlos has a woman who is wearing a traditional headdress. A woman actually showed us how to wrap it around her head while we were sightseeing one of our last days in Guatemala. Juan Carlos picked this bank because of that memory. 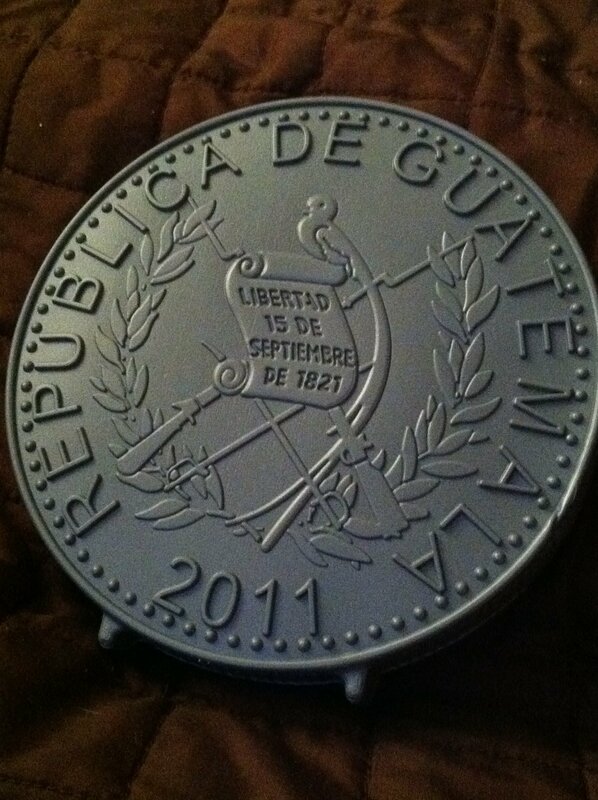 The back of the coin commemorates the liberation of Guatemala, in 1827. Juan Carlos had shared with our group the story of the coin; although Andres was our guide, Juan Carlos worked as a tourist bus driver all year long, and so he had some stories that he had honed over the years. Juan Carlos handed me the piggy bank in a plastic grocery bag on our last full day in Guatemala; first thing, after we had boarded the bus. It’s a small memento, but it has great meaning to me. Every evening, when I call to mind the going-ons of my day, the piggy bank reminds me of that clarity I knew in July while I listened to a man, to a woman, to a child, share his or her story. The piggy bank reminds me of the generosity of a man with a huge spirit, who shared just a bit of his story with me. The piggy bank reminds me of my poor Spanish and the patience all of the people had with me. It reminds me of what grounds, what matters, what connects. And for all that, I am thankful.